Animal Crossing: amiibo Festival [Read]: You can use Animal Crossing amiibo cards in fun minigames. 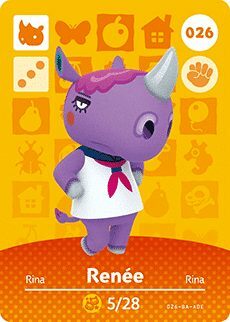 Animal Crossing: Happy Home Designer [Read]: Collect and share amiibo cards of your favourite villagers, and invite them into your game. Tap Animal Crossing amiibo cards will allow you to invite up to four characters into a room to hang out.